The Style Establishment have finally stepped into the cityscape, taking their online boutique to the bustling O’Connell Street in North Adelaide. As the new kid on the block, it was only reasonable to kick-start TSE’s journey the way all good things begin – with some cheese and a bit of bubbly. 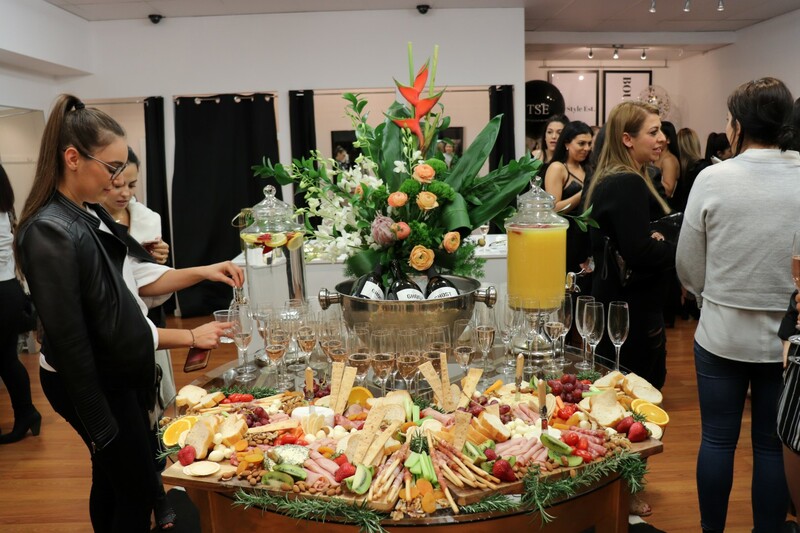 With a divine catering spread from Out in the Paddock, sparkling champagne from Ghost Wines and an aesthetically festive bouquet by Flower Surprise Adelaide, the TSE launch was a style savvy success. In its prime location and with an extensive range on offer, this little fashion boutique will no doubt become a go-to for many of Adelaide’s trend-chasers. That’s one extravagant antipasto set-up. A good shopping experience can certainly be hard to come by, tapping into the notion of visual merchandising. After having the opportunity to scope the place out, it’s fair to say that TSE have absolutely nailed it with their contemporary yet simple layout which provides customers with a VIP shopping experience from the get-go. The Style Establishment strives to keep you up to date with the latest trends as they fluctuate by season, with all ensembles designed by a mixture of credible brands and labels. SCK, Pink Diamond Clothing and Runaway the Label are just a few of these you can expect to see on the racks. The range also accounts for every type of style and occasion. From sleek street-wear to glamorous formal wear, TSE offers a one stop shop to simplify your experience whilst providing the perfect opportunity for a day out with the girls. We saw plenty of this season’s favourites including ruffles, polka dots, sheer feminine textiles, and of course the flared sleeves which have started quite the style frenzy across Adelaide and interstate. Rummaging through the fashionable goods at the TSE launch! Admittedly, such easy shopping can be a little dangerous, but we were pleasantly surprised by how well the gorgeous little space has been utilised, which created a comfortable and positive atmosphere. Head to 15 O’Connell Street North Adelaide to check out the new space!